Today I'm checking out Massachusetts' Newburyport Brewing's Green Head IPA, "an assertive and hoppy west coast-style IPA." 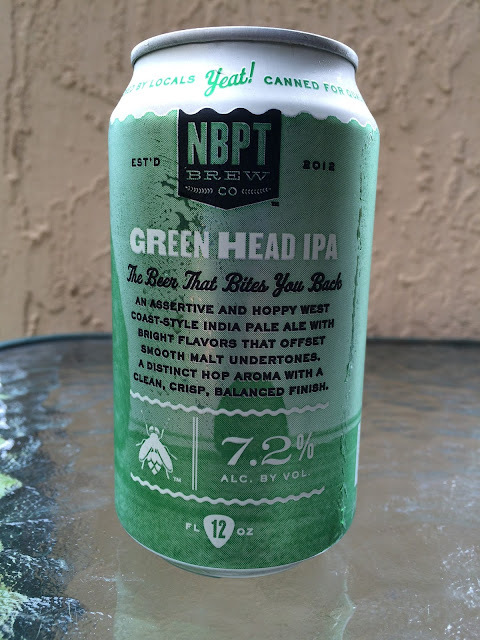 "The Beer That Bites You Back" comes in a green can matching the beer name. 7.2% alcohol. Hoppy, citrus aroma, but not overly powerful or distinct as the can story suggests. Very piney bitter start with a solid additional grapefruit citrus bang. 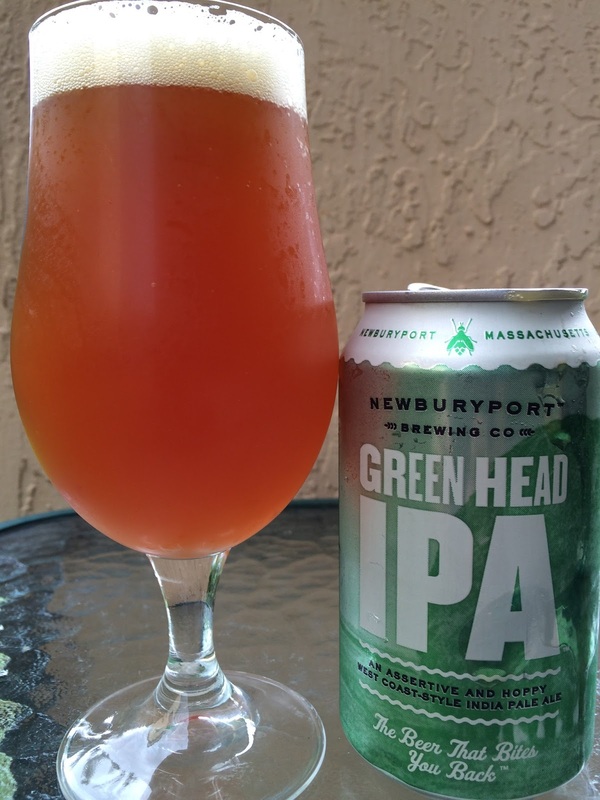 Floral, fresh, light dank hop flavor. My wife compared it to Sierra Nevada Torpedo, a compliment in my opinion. A little alcy, astringent and super dry at the finish. Also a highly floral flavor builds throughout. West Coast, no doubt, aggressive as advertised. Not my favorite in a highly competitive field but a really nice beer. Check it out!